Lately, I have been seeing more and more Adobe Analytics clients moving to Virtual Report Suites. Virtual Report Suites are data sets that you create from a base Adobe Analytics report suite that differ from the original by either limiting data by a segment or making other changes to it, such as changing the visit length. Virtual Report Suites are handy because they are free, whereas sending data to multiple report suites in Adobe Analytics costs more due to increased server calls. The Virtual Report Suite feature of Adobe Analytics has matured since I originally wrote about it back in 2016. If you are not using them, you probably should be by now. 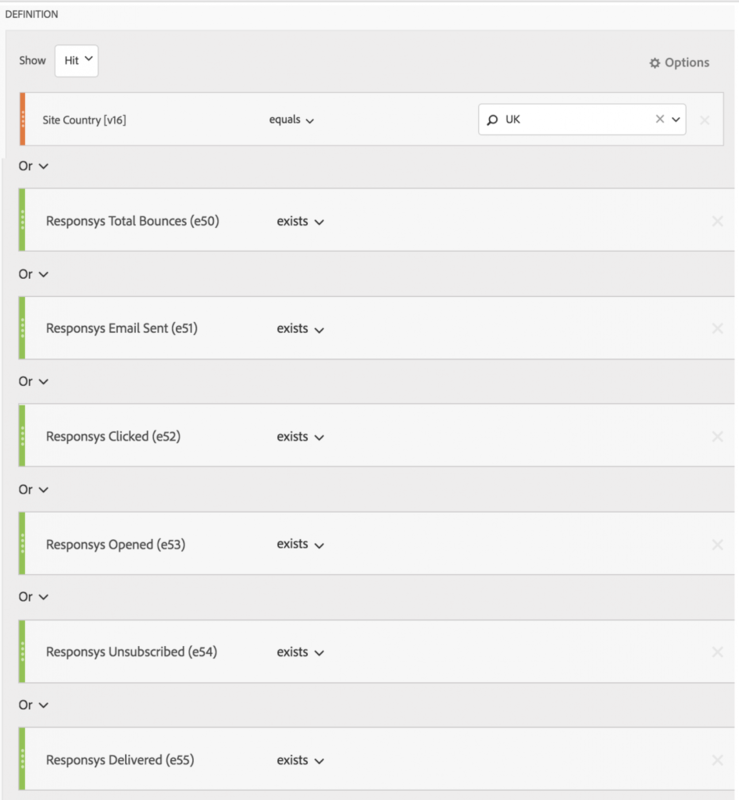 In this case, I am viewing the offline e-mail metrics alongside with the online metric of Orders and also created a new Calculated Metric that combines both offline and online metrics (last column). So far so good! Uh oh…I just lost all of my data! I see this happen all of the time and usually my clients don’t even realize that they have told their internal users to use a Virtual Report Suite that is missing all Data Source metrics. The best long-term way to fix this problem is to change your Data Sources import files to make sure that you add data that will match your Virtual Report Suite segment. In this case, that means making sure each row of data imported has an eVar16 value. 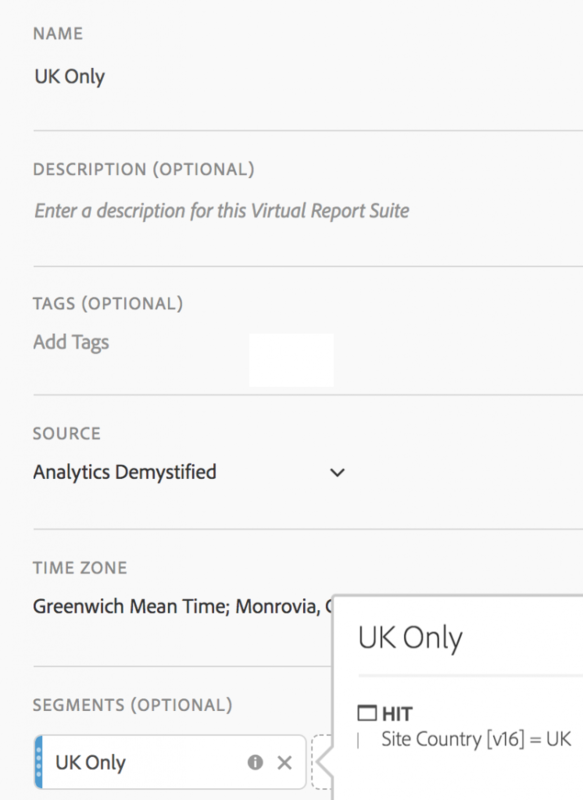 If you add a column for eVar16 to the import, any rows that contain “UK” will be included in the Virtual Report Suite. For this e-mail data, it means that your e-mail team would have to know which region each e-mail is associated with, but that shouldn’t be a problem. Unfortunately, it does require a change to your daily import process, but this is the cleanest way to make sure your Data Sources data flows correctly to your Virtual Report Suite. If, however, making a change to your daily import process isn’t something that can happen soon (such as data being imported from an internal database that takes time to change), there is an easy workaround that will allow you to get Data Sources data immediately. This approach is also useful if you want to retroactively include Data Sources metrics that was imported before you make the preceding fix. 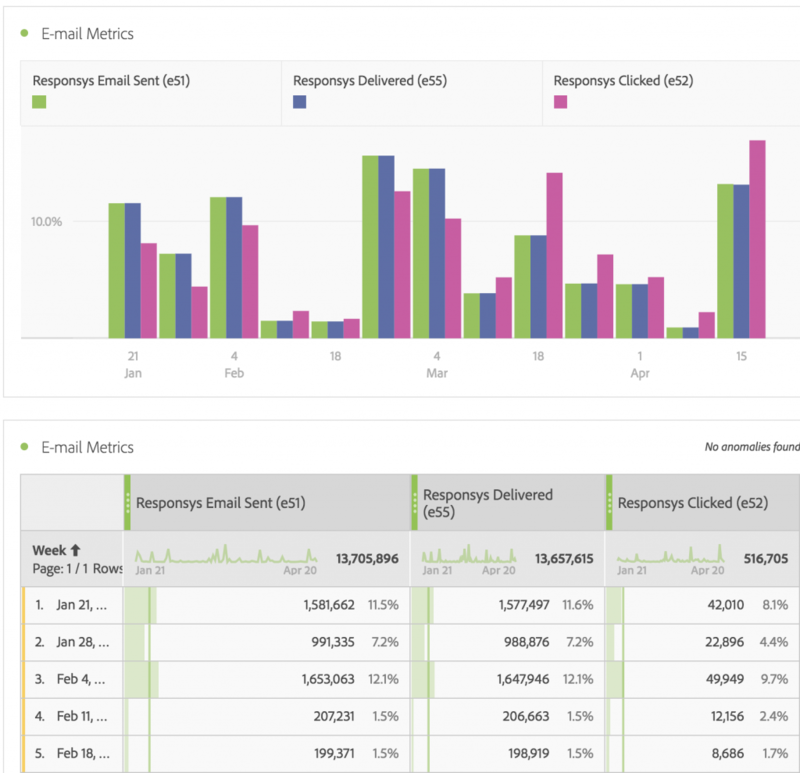 So this post is just a reminder to make sure that all of your imported Data Source metrics have made it into your shiny new Virtual Report Suites and, if not, how you can get them to show up there. I highly suggest you fix the issue at the source (Data Sources import file), but the segmentation approach will also work and helps you see data retroactively. I believe this kind of problem exists even between AMO to AA data import.. When we use virtual reportsuite we could see only zeroes. Thanks for sharing this.